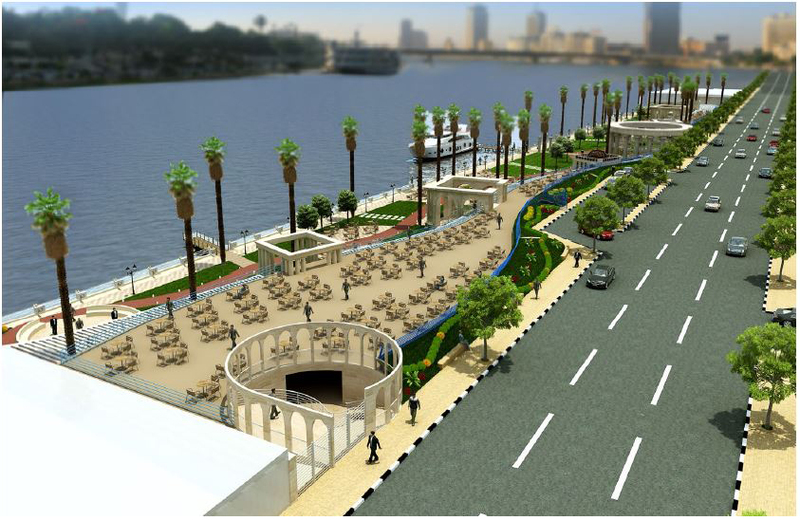 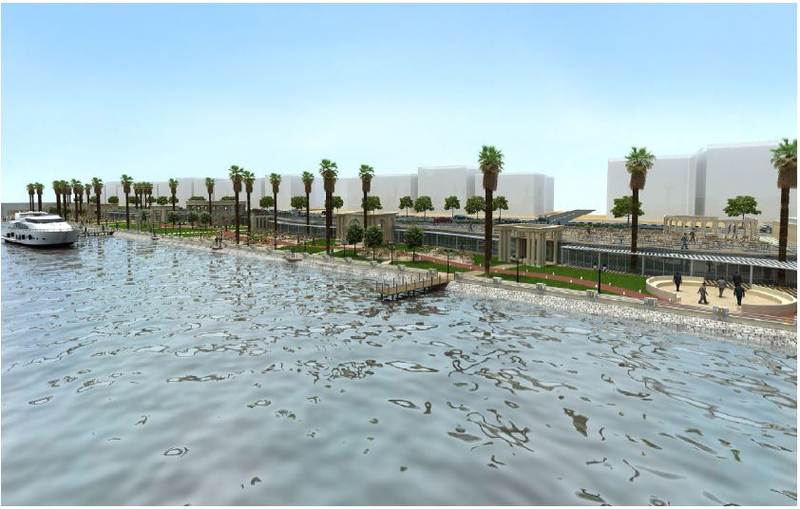 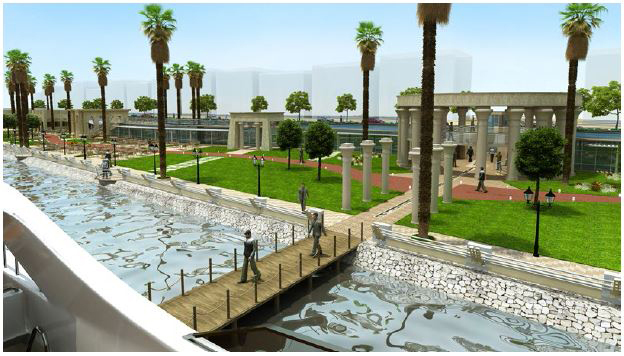 An architectural competition that was proposed by the Egyptian engineering syndicate to redesign its main social recreational club which is located in a very important location facing the Nile directly in Zamalek district in Cairo. 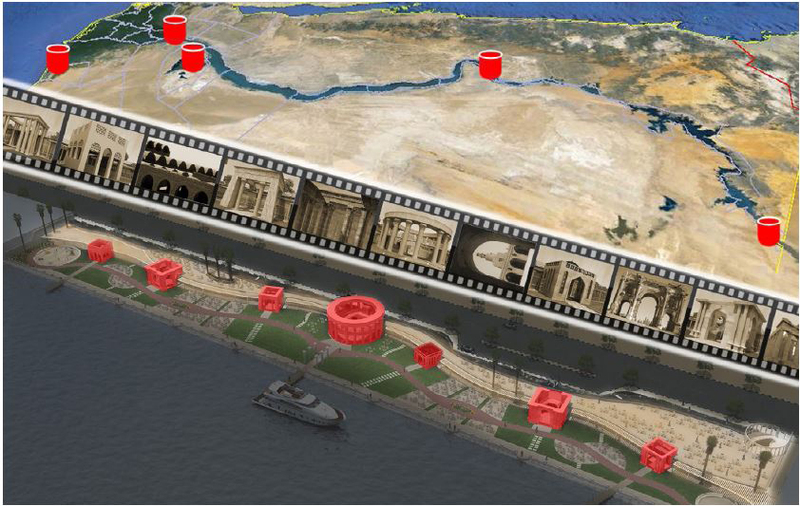 Design concept was inspired of the accumulated civilizations that have successed the Egyptian history as a longitudinal path walking throw the project. 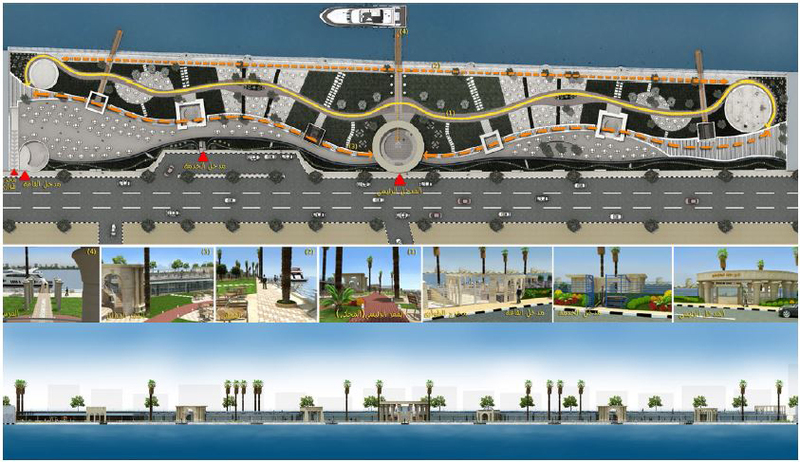 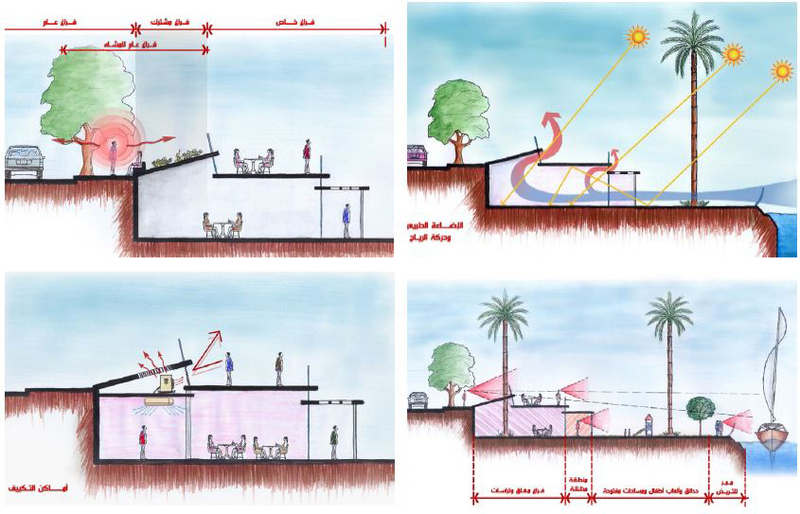 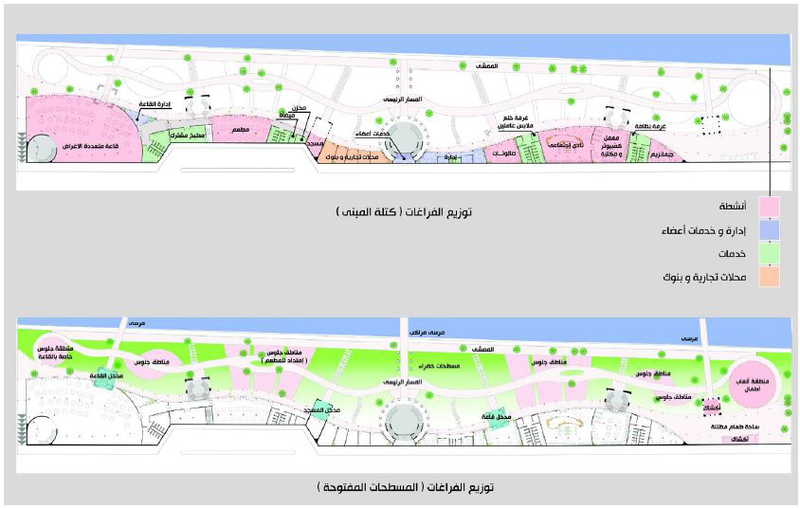 As the project location is strip shaped and with a limited area underneath the street level, designer proposed to double the used area by using the club building in two levels as the main activities were placed in the lower level facing the Nile covered with inclined roof to form a new connection between club and the street instead of the traditional fence, so club would be more community related by facing the street with an inclined greenerie with public sittings and an open view to the Nile, and in the same time the flat roof would be used for sittings and cafeterias behind a steel handrail. 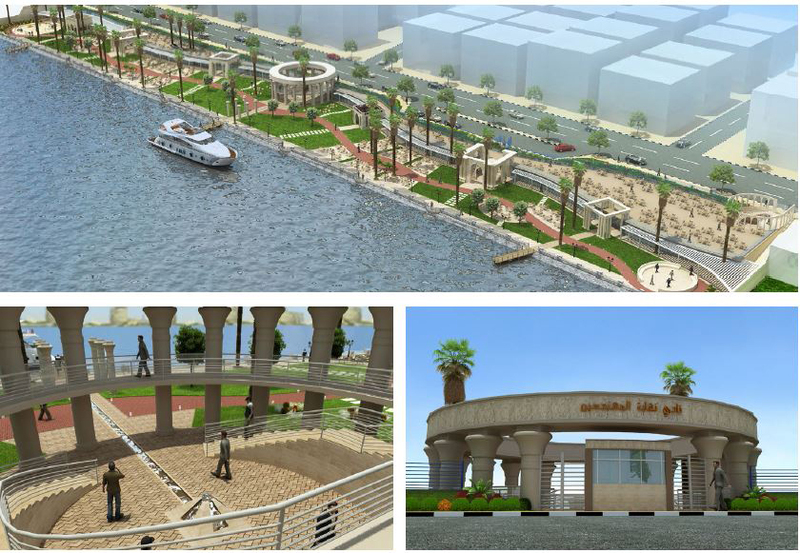 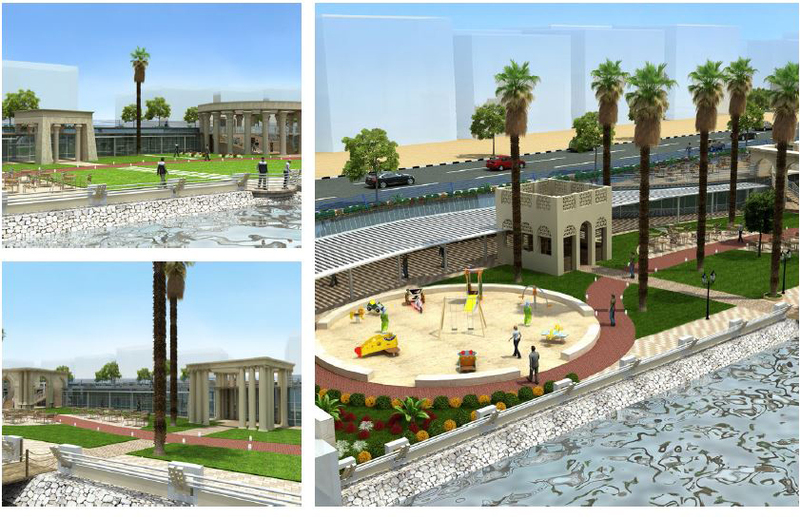 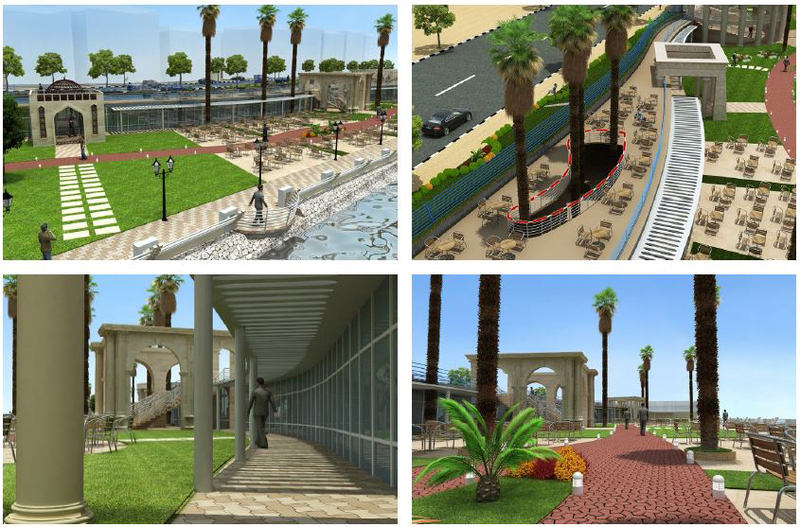 Project was designed as three curved linear strips parallel to the Nile, club fscilities, main spine walkway (the narrator) and the open spaces for gardens, open sittings and kids playgrounds with its middle walkway.